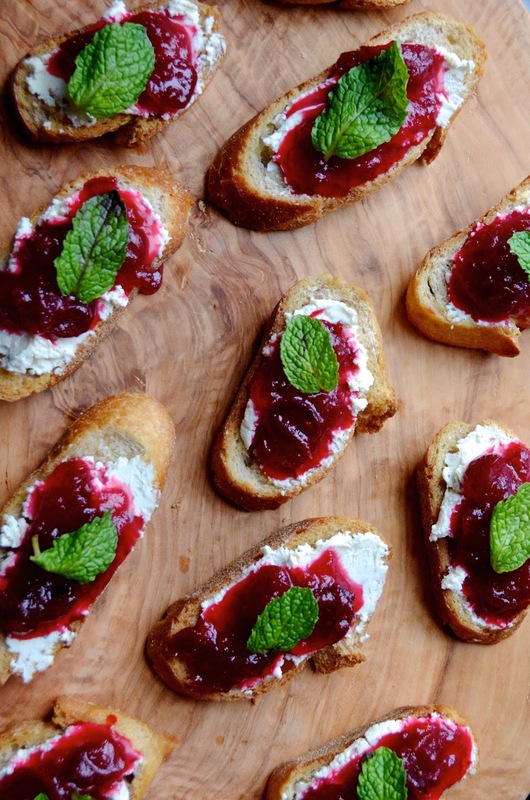 Here's a super simple idea to serve at your next holiday party: Cranberry Sauce Crostini with Garlic & Herbed Goat Cheese! I love easy appetizers like this that come together quickly, look gorgeous, and taste amazing. These are great to make in advance and serve guests as they arrive. 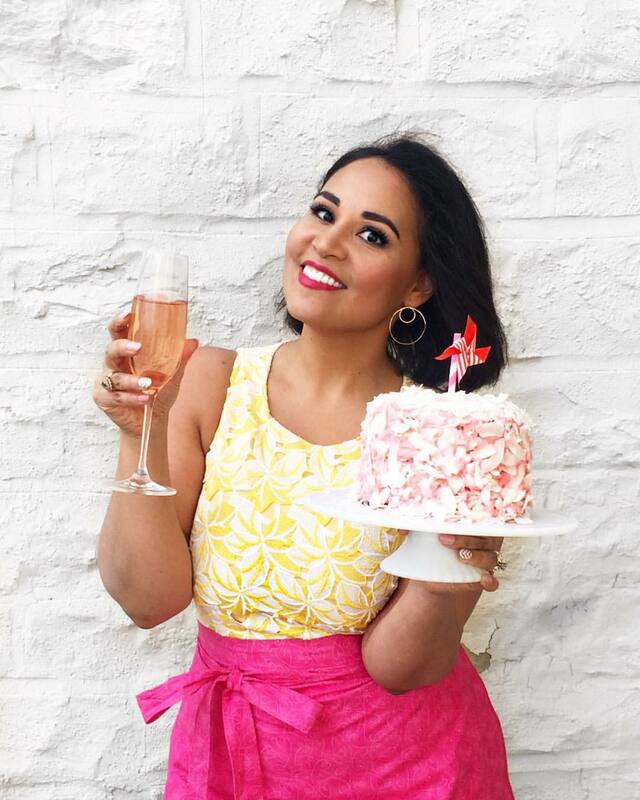 They can enjoy with a glass of sparkling wine or a cocktail, while you finish things up in the kitchen. 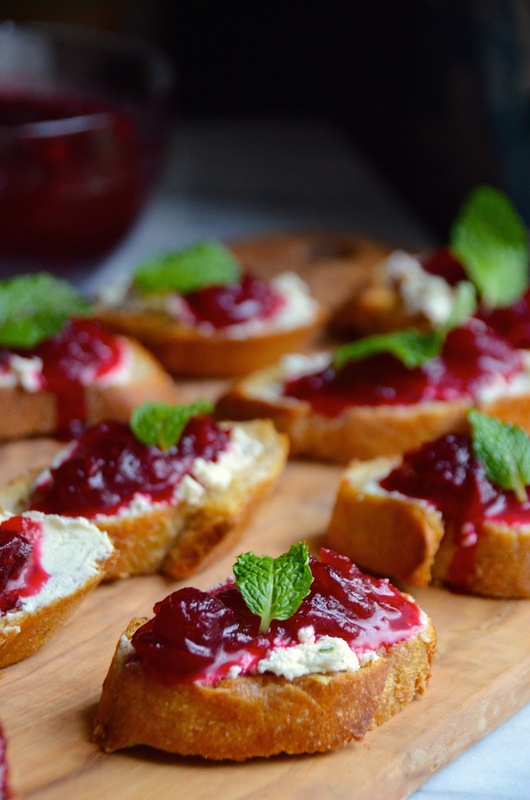 These Cranberry Sauce Crostini can be made with homemade cranberry sauce (either leftovers or a fresh batch you make for your holiday dinner) or you can even use your favorite storebought whole berry sauce. You can get creative with the cheese, too. 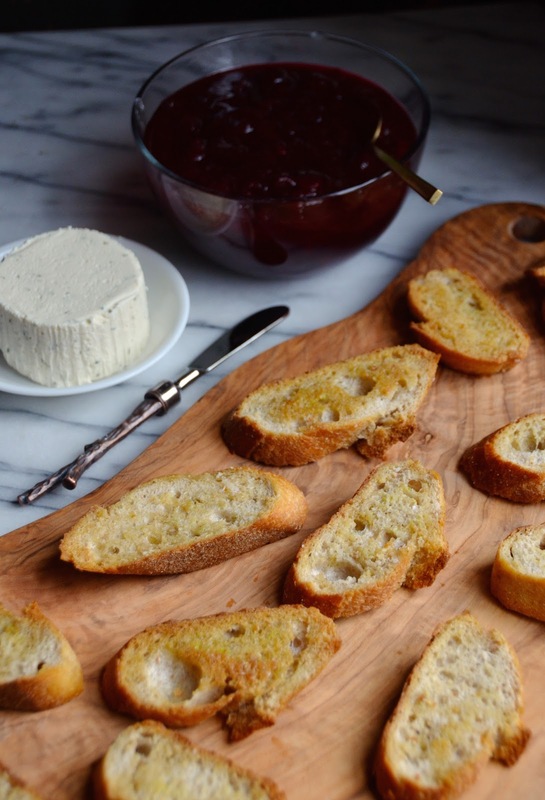 I love a soft and tangy goat cheese or any kind of soft cheese like a savory herbed spread or even cream cheese. The trick that makes these total stand-outs is the garlic flavor. After you remove the toasts from the oven, take a few seconds to rub a raw garlic clove directly onto each toast. It infuses them with tons of flavor even before you start adding the toppings. Trust me, the combo of sweet, savory and spicy is perfection. Looking for other fun ways to use cranberry sauce? Try this cranberry sauce bread or these cranberry sauce margaritas! Preheat oven to 350 degrees. Slice baguette on a bias and into about 12 half-inch thick slices. Place on a baking sheet and drizzle with olive oil. Sprinkle with salt and bake 10 minutes, then flip to other side and bake an additional 10 minutes until toasted. Rub each toast with garlic, then spread with cheese. Top with a generous spoonful of cranberry sauce and garnish with mint. Serve immediately.